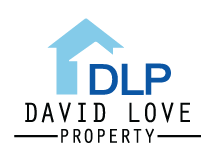 Time to get a new shower in your property, David Love Property has the shower for you no matter what you have in mind. We’ve been performing shower installations and repairs in Edinburgh and Dalkeith, Midlothian for over 10 years now. Whether it’s a standard shower, a customized measured to fit perfectly or an experience shower – we are sure we can create a shower you will not want to leave. Our experienced plumbers will take all the measurements of your existing shower to make sure that the new one covers the area without any gaps and fits in perfectly. 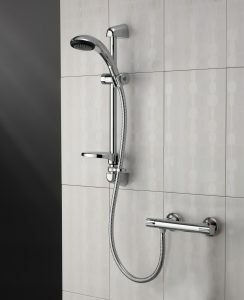 We can help you with advice and selection process of everything shower related, whether it be a shower base, the shower doors or the shower itself. 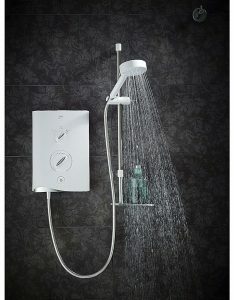 We can repair your existing shower, fit a new one, and also fit any shower related accessories. Whatever the option you chose our plumbers will make the job seamless and spot on with no or minimal destruction to your existing walls / tiles.